The local YMCA and Boys & Girls Club are excited to announce the recent $50,000 contribution from Connexus Credit Union to the “Building Futures Together” capital campaign. 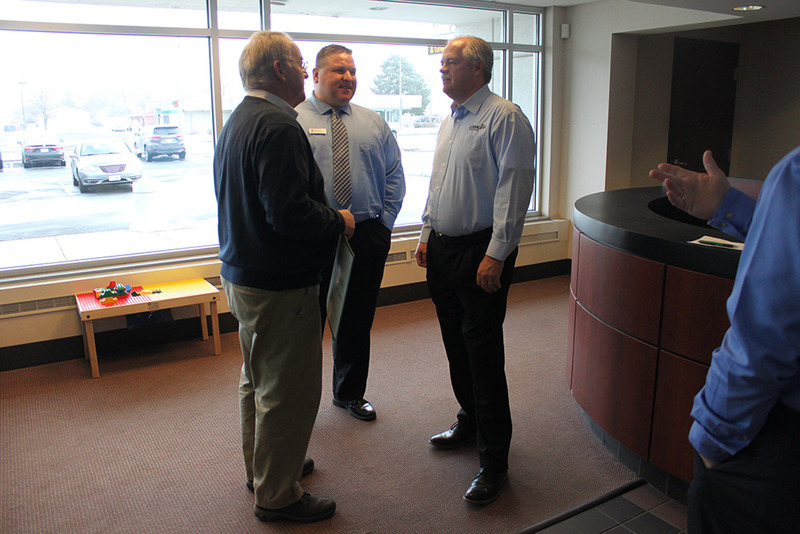 The campaign has been progressively working with community leaders and donors to provide a new facility that will house the YMCA and Boys & Girls Club. “We are extremely excited to support this amazing project. 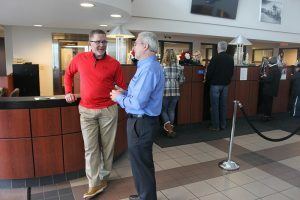 We see this as a unique opportunity to invest in the community and provide a safe and welcoming place for kids” said Dave Stark, Chief of Staff at Connexus Credit Union. This new facility is a new chapter for the YMCA and Boys & Girls Club that will build on the success of the downtown revitalization and will bring much-needed community programs. The $27.5 million project held a ground breaking ceremony in August 2018 for the new facility. Since then, demolition and abatement has begun to make way for the combination of a renovated and newly constructed space that will encompass approximately 90,000 square feet at what was the former Rapids Mall. The new facility is anticipated to open March 2020 and will include space for programs designed to be a resource that will address community health, wellness and developmental needs, be a safe space for children and a welcoming spot where everyone has a sense of belonging. “The support from the community and donors has been overwhelming. We are fortunate to have great partners and generous donors who understand the impact of this campaign in our community. We are excited to have Connexus as a partner on this project as this gift will go a long way in supporting youth, adults and families in our community” Phil Brown, campaign co-chair. 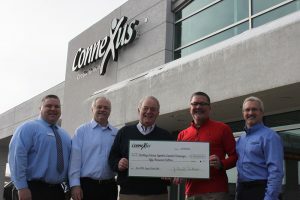 Through the incredible generosity of donors like the Connexus Credit Union, along with the commitment of local volunteers and staff, the Building Futures Together project will serve as a model for impacting the health and well-being of children, individuals, and families for generations to come. If you would like to learn more about the Building Futures Together Capital Campaign, individuals can visit the website at https://app.southwoodymca.org/take-a-tour/. The YMCA has been serving South Wood County since 1957. The Y is the place to go for family events, activities, and fun. Annually, more than 15,000 individuals participate in YMCA programs and services where no one is ever turned away for an inability to pay. The Y offers more than 100 programs for everyone from toddlers to active older adults. In addition, the YMCA runs seven before and after school programs that serve nearly 200 families in the community. During the summer, YMCA Camp Alexander offers the opportunity for 500 young people to experience the joys of day and resident camp. You can find more information at swcymca.org. The Boys & Girls Club of the Wisconsin Rapids Area provides before and after-school programming for youth ages 6-18 in Wisconsin Rapids, Nekoosa and Port Edwards. The mission of Boys & Girls Club is to enable all young people, especially those who need us most, to reach their full potential as productive, caring, responsible citizens. Boys & Girls Club focuses programming efforts on three key outcome areas: Academic Success, Good Character and Citizenship, and Health Lifestyles. The Club serves over 2,100 youth throughout South Wood County each year through membership and additional outreach programs for non-members. Learn more by visiting bgcwra.org and facebook.com/bgcwra. The Boys & Girls Club is a proud partner of the United Way of Inner Wisconsin.